I was excited this morning to drive to work. The first TAGalog-based FM radio station for Filipinos airs their pilot broadcast. 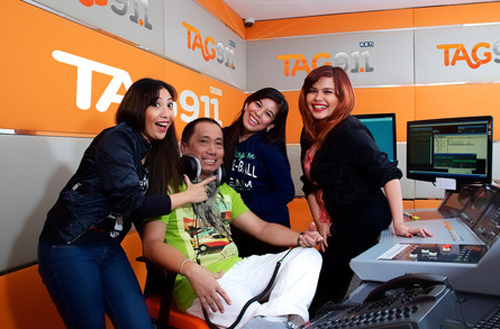 Today is the launch of TAG 91.1 by Arabian Radio Network (ARN) - the same network that brought us The Filipino Rhythm on Dubai Eye 103.8 every weeknight for the last 5 years. Something to call our own, finally! 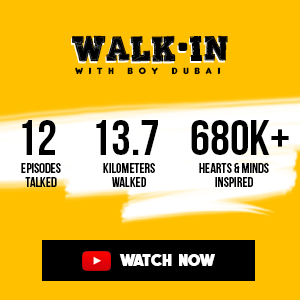 According to Arab Media Group CEO, Mohamed Almulla, the birth of the station is dedicated to the growing population of Filipinos in the UAE he refers to as "obvious gap." Currently we are about 645,000 here. It's a relief to listen to a different kind of music, far from the junk that most of the hits today are. Admit it, a lot of Filipino music really makes more sense than most of the popular jiggy ones these days. I was listening to the morning show Gandang U-maga where former Virgin Radio RJ Louie and Daddy Bluebird from Dubai Eye host the show. They have a cool mix of OPM hits then and now, and a few international pop as well. The tandem adds fun, Pinoy style, to the typical morning drive. They also have some exciting competitions, and of course, the Pinoy favorite shout-outs too. It's the first time I heard Louie speak Tagalog, I think it's cute, but I guess she's more used to doing it in English - or I'm just used to listening to her on Virgin. ;-) Keep it up! You can also listen to TAG online at http://www.tag911.ae/listenlive. Visit the website for more info about the shows and the RJs. Like them on Facebook and follow them on Twitter as well. An iPhone app is also available. ARN is currently working on apps for Android and Blackberry as well. This is what all of us have been waiting for. If you're looking for laughter and cheers, TAG is for you. Ayos to! I suddenly miss hosting a radio show. You have a very good article thank you for sharing the information to us. You can also visit my site indicated below. Nice Info, Thank you for sharing this information that is actually helpful.